Spatial Reasoning is ability to word with 3 dimensional figures. 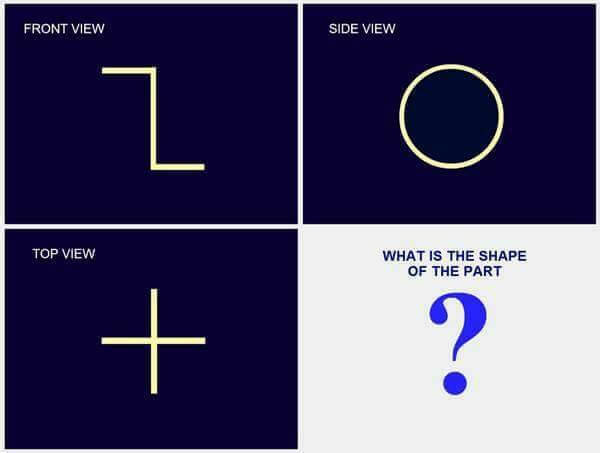 Here is one Puzzle which will test your Spatial Reasoning. Can you solve this puzzle? Can you tell which shape will give such views?